POY is produced from the melting and extrusion (melt spinning) of the polyester chip or flake. 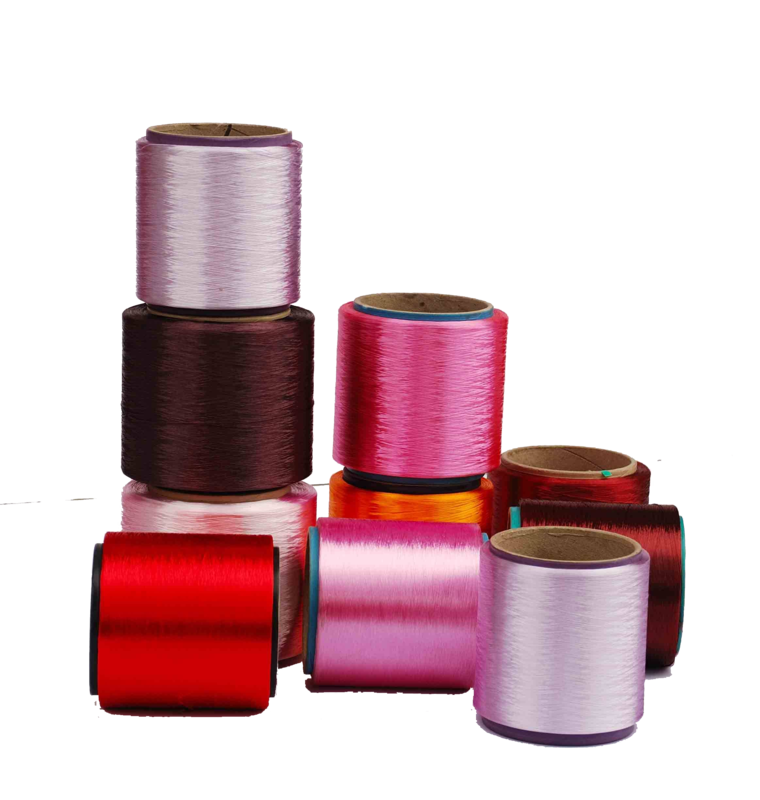 The term partially oriented yarn refers to multi-filament that is only partially stretched and has higher elongation to make it suitable for further downstream drawing and setting. POY is mainly used in texturizing to make draw textured yarn or air textured yarns to make it suitable for all applications like Weaving, Knitting and Tufting. 4 kgs to 14 kgs. More than 1000 shades available in database.